Body art is meant to differentiate and brand your body in a unique way. It is a form of appreciation for art. Tattoos can be made from varying concepts and ideas. 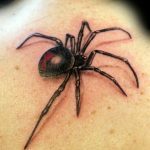 Spider tattoos have varying meanings most of which are related to death or serving prison time. 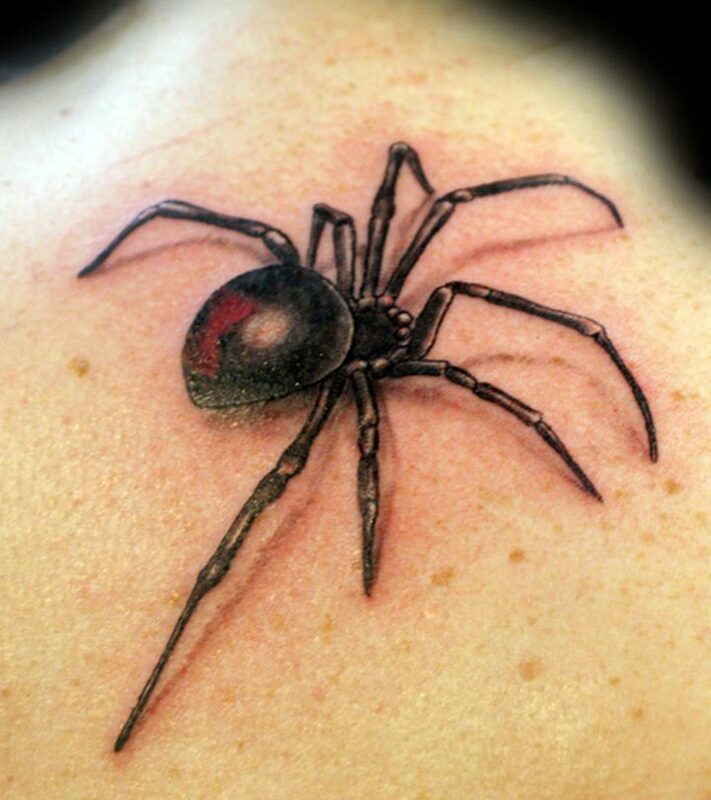 Here are ten spider tattoo designs that are very interesting to peer at. Spider tattoos have a slightly gothic side to them. 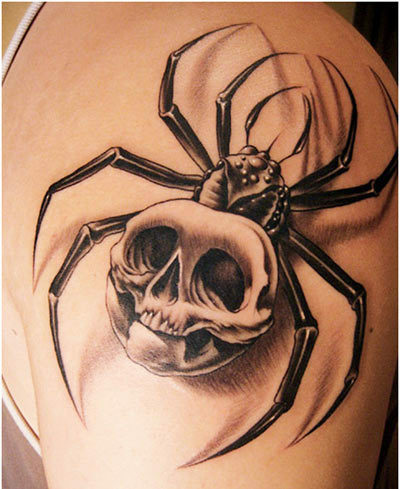 One spider tattoo idea is that of a skull with a spider body. The tattoo would look deadly and a tad scary but at the same time interesting and wildly different. 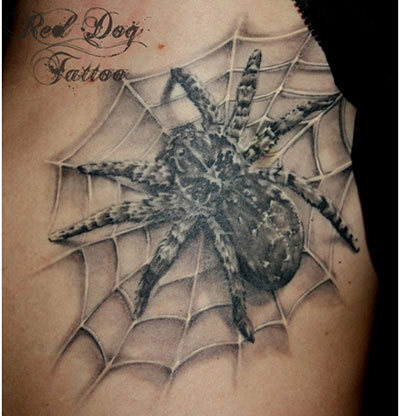 A spider hanging from a web would make a great spider tattoo. 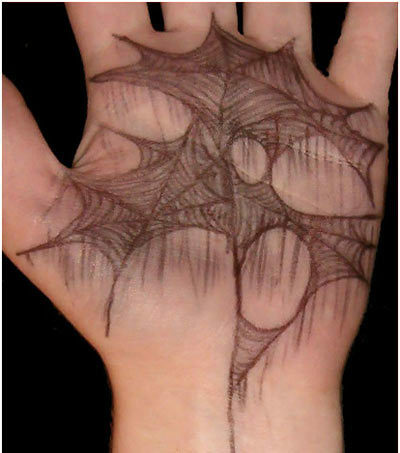 The tattoo could be made entirely with touches of grey or black and would look best when imprinted on the hand. If one spider seems minimalistic, you could ink a number of spiders crawling up various parts of your body like your neck, arm, back, torso or leg. 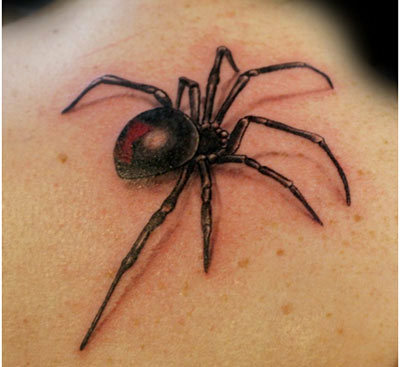 The tattoos could be made in black and the spiders could be domestic spider species or the slightly, more poisonous ones. Spiders are perceived as black and scary creatures that one should stay away from. A colourful spider brings about a different aspect to this creature. Spiderman is a very well known character. Both the comic book and the adapted film are very popular. The basic plot dwells on a young adult who is bitten by a spider and gains superhero powers. 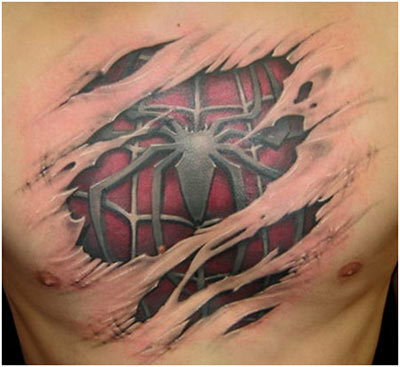 You could tattoo the spider from the suit this superhero wears or tattoo the suit itself across your chest. Tattoos are meant to be decorative, artistic and innovative. 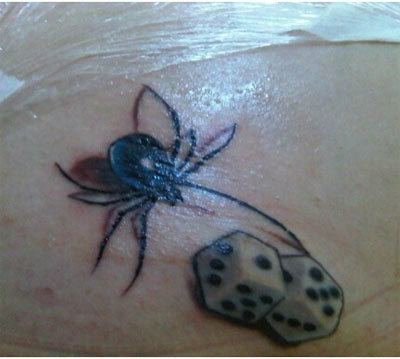 A spider with a pair of dice covers all these aspects and makes the tattoo truly worth inking. 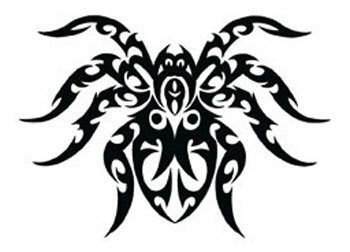 A tribal spider tattoo design made in black and white would be a very nice way to decorate your body. 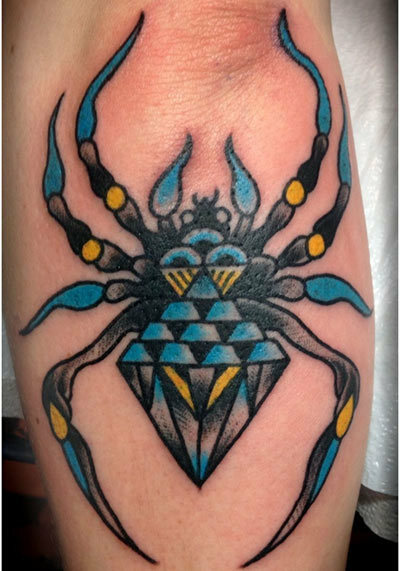 The tribal design would remove the fierceness of the spider and make the tattoo look friendly and decorative instead of scary and dangerous. Spiders generally freak people out. A spider crawling up someone’s neck would be an interesting tattoo as well as a conversation starter. 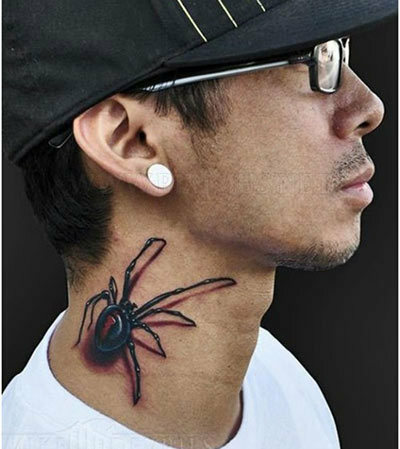 The only downside to this tattoo is there might be a few people who might misinterpret it as a real spider and try to flick it off your neck. A spider spins its own web. A spider inside a web might represent an individual is aware of the fact that he has to make his own choices and cannot blame others for the ones that go wrong. 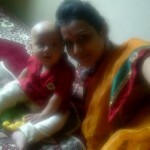 In other words the person is responsible for making his own choices in life, whether good or bad. 3D is a new technique of tattooing that adds a 3 dimensional aspect to a tattoo which was previously limited to 2 dimensions only. The 3 dimensional aspects bring height, depth and width to the tattoo, making it look realistic and tangible. Find more fascinating tattoo art and pick the best idea for you.